Our team of professionals has installed metallurgical processing equipment and slurry transfer systems for copper mines and smelters in remote regions in Kazakhstan. Supported by the United States Trade Development Agency, (USTDA), we performed feasibility studies for coal mine development in Kazakhstan. TTE International, Inc. is the exclusive distributor of Superior Highwall Miners for Russia and the CIS. ARE "THE WORLD'S MOST SOPHISTICATED AND EFFICIENT HIGHWALL MINING SYSTEM"
With over 40 Superior Highwall Mining Systems in successful operations around the world, the Superior method of coal mining can produce coal more cost efficiently and safely than any other method of mining today. 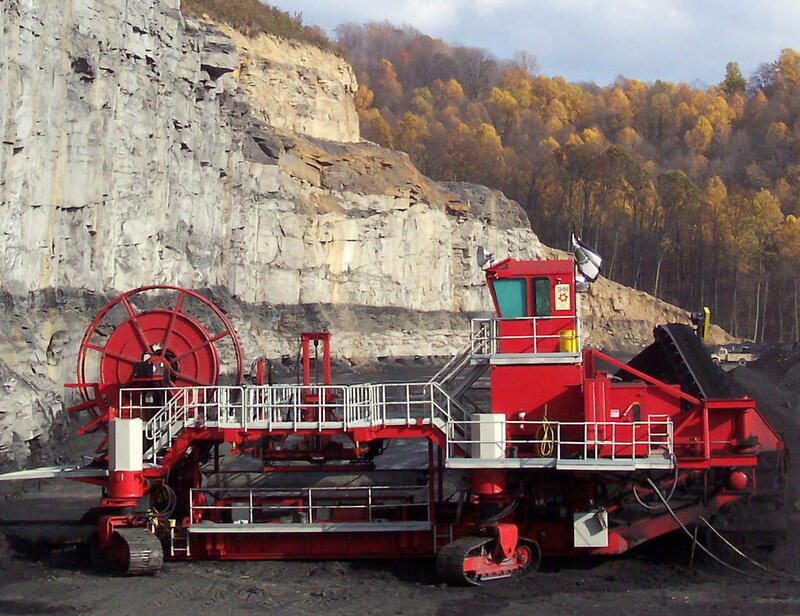 Utilizing a modular design, the SHM System deploys state of the art technology to make dramatic reductions in the environmental impacts of coal mining. The phase of 'open pit' strip mining operations using draglines and shovels is reduced or eliminated. No human miner is required to labor underground, thus increasing human safety. This Superior System is able to produce coal at low cost and with high recovery rates. Through the collaborative efforts of SHM and TTE, the development of a Superior Highwall Miner capable of mining deep-angle highwall coal seams is underway. In addition, SHM will now be offering their Highwall Miner with the option of a 50 Hz generator set or 50 Hz direct power. These new features, along with the new SHM Deep-angle Miner will be great assets to the mining community of Europe and Eurasia. SHM - TTE 1 & 2 These machines went to our customer in Siberia by way of Baltimore, Bremerhaven and St. Petersburg aboard US and Foreign flagged vessels. From St. Petersburg, they went aboard several trains halfway across Russia. They were cleared for free circulation in the Russian Custom's Territory in Kemerovo, assembled in sub-zero weather and put to work against highwall specially prepared for their arrival and evaluation by Gortechnadzor, the Russian Safety and Certification Authority. SHM - TTE 3 A great deal was learned about the applicability of this technology in the Kuzbass mining conditions. Some of these lessons have been incorporated in the design of this machine and more will be incorporated in future machines. SHM - TTE 4 The forth machine will be modified to run on direct 50 Hz line power.